‘Take a teaspoon of cement and toughen up,’ advised Alan Jones to female MPs who have said they have been bullied. 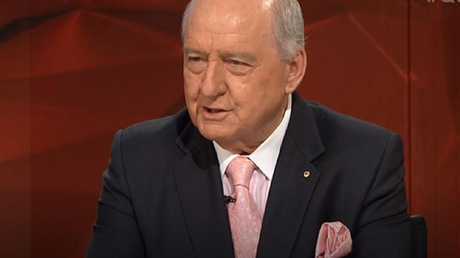 BROADCASTER Alan Jones elicited audible gasps when he said female MPs who have accused their male colleagues of bullying should "take a teaspoon of cement and toughen up", on last night's Q&A. Earlier in the show, a member of the Liberal party has told a Government minister exactly what he didn't want to hear. The Young Liberal told defence industry minister Steven Ciobo he would consider voting Labor because of the dumping of Malcolm Turnbull. The minister also raised eyebrows when he appeared to inadvertently let slip the date of the next election. The panel also included Labor's Anthony Albanese, who in a single word summed up the relief of the opposition benches that the party ditched Malcolm Turnbull, who was more popular than their own Bill Shorten, and then failed to pick the country's second most popular minister as his replacement. Would Julie Bishop as PM had been tough for Labor? “Obviously,” said Anthony Albanese on Q&A. Asked by host Tony Jones if Julie Bishop would have been a more formidable opponent in the next election than Scott Morrison, Mr Albanese replied simply: "Obviously". "Mind you, anyone who thought that Peter Dutton was the answer must have been asking themselves a pretty weird question because he hasn't polled in double figures as preferred leader ever," he continued. Mr Albanese said he doubted the Liberal Party could unite behind Prime Minister Mr Morrison. "If the Liberal Party aren't prepared to modernise and they continue to hark back to a reactionary position, and it's not even a conservative position, I can see a real schism occurring and potentially a split down the track," he said. Minister Steven Ciobo said Julie Bishop wasn’t ignored because she is a woman. Mr Ciobo, who backed Mr Dutton, denied the former foreign minister was overlooked because of her gender: "She wasn't ignored. Julie stood, she received some support, but not adequate support." To laughter from the audience, he denied the Liberals were divided by factions. Mr Ciobo didn't get much comfort from a Young Liberal voter in the audience, however. "I think it was a terrible decision to get rid of Malcolm Turnbull," he said. "As Anthony said, (Labor) are obviously a lot happier that they haven't got him now (to campaign against)." Asked by the host if he'd consider a protest vote against his own party, the Young Liberal replied "Sure, yes. I'd consider voting Labor at the next election. If I was voting in the Wentworth by-election, I would (vote Labor). 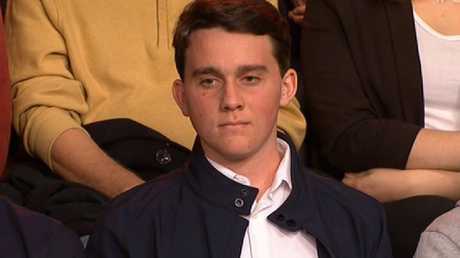 A disillusioned Young Liberal who said he’s consider voting Labor because of the leadership spill. "But I'm still a proud Liberal and I've had arguments with people among my party about it because I think we've done the wrong thing." Mr Ciobo urged him to stand by his party. "Ultimately, the choice Australians will make is a choice about the future, not about the past. If you're voting for something that was nine months ago, you're probably missing the bigger picture." Host Tony Jones took this as a heavy clue that polling day has been decided by the party and they will wait until May, the last moment to call a poll. "Are you saying it's nine months until the next election?" he asked. "Whenever it is," replied the minister. "You said in nine months' time?" pushed the presenter. "I don't have knowledge and don't call the election." 2GB's Jones said the leadership spill was fair. "Turnbull started this by attacking a democratically elected leader and imagines the same rules shouldn't apply to him," he said. He chided the former PM for jetting out off to New York and said he should have hung around to defend his seat. But it was a comment from Jones about the alleged bullying of female MPs in parliament, which has now led Liberal member Julia Banks to confirm she won't recontest her seat, that led to gasps. "Politicians know the game they're going in to and it is tough and it is confrontational and it is antagonistic at times. "I would recommend some of them who are saying they're being bullied - they need to take a teaspoon full of cement and toughen up." He said the accusers should name names or stay quiet: "If these people have complaints, surely they should articulate against whom the complaints are being made? Otherwise you can accuse anybody of anything." Mr Ciobo distanced himself from Jones' assessment and called Ms Banks "a terrific woman". "Our Westminster system is an adversarial system. The table is broad enough to stop two swords from touching. That doesn't mean that anything goes. We need to tackle the cultural issues. We need to be seen to be doing it because we're enforcing it in other workplaces." 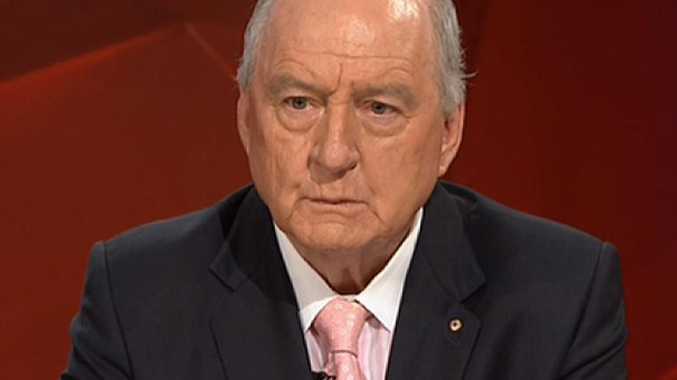 Alan Jones caused gasps in the audience. The minister also defended the appointment of Tony Abbott and Barnaby Joyce to envoy roles on indigenous affairs and the drought respectively. 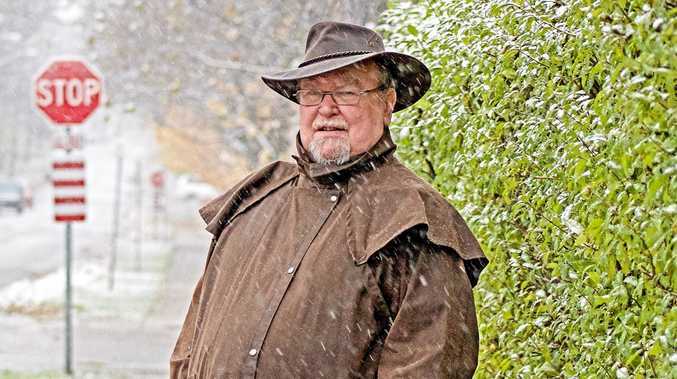 "The suggestion it's about getting people out of Canberra obviously is completely ridiculous. 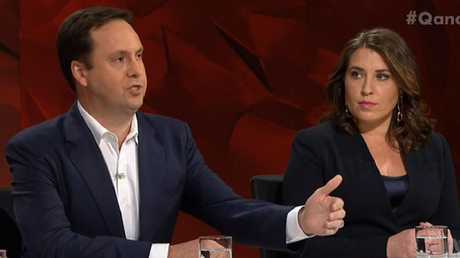 These are important roles and I think it's appropriate we have senior people with a lot of experience behind them, who can navigate their way around the community in these roles," said Mr Ciobo. Albo questioned whether the indigenous community would welcome Mr Abbott traipsing around. But he suspected the former PM's mind wouldn't be on Aboriginal issues anyway. "This will end in tears. 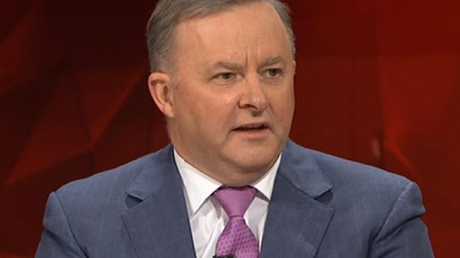 There is no way that these two people with their personalities are going to settle for being envoys, whatever that is," Mr Albanese said. "We have cabinet ministers, we have ministers, we have assistant ministers renamed and now we have these other positions on the fourth run."